When I first read this story I thought, “This can’t be real.” Sadly, it is. Clifford Hall (pictured) has been sentenced to 180 days (6 months) in jail because he accidentally overpaid his child support and visited his son too much. No kidding. Last year, Hall was delinquent on child support. He then paid $3000 in back payments. Hall was repeatedly told that he was caught up on his payments. So, he proceeded with the child support agreement as instructed. His employer withheld support from his paychecks to keep him current. At some point, though, his child support agreement with his ex-wife was modified without his knowledge. And now, the judge wants him to pay $3000 for his ex-wife’s legal fees as well. It’s hard to see how this isn’t a gross miscarriage of justice. This father was adhering to a previous agreement without knowledge that his directives had been modified. 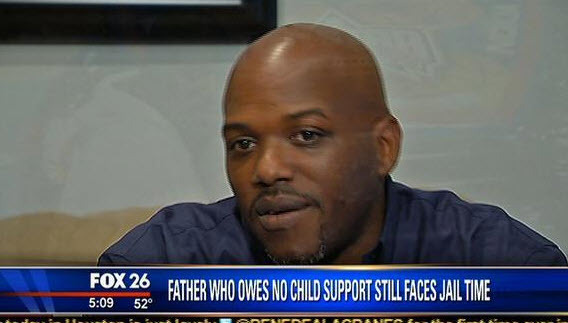 After paying arrears, he still managed to be in violation of his child support statutes. One has to wonder if there is more to this story. Let’s hope this saga clears up before he turns himself into jail in the next few days. What do you think? Is there more to this story? Could this guy really be going to jail for doing the right thing?